What a week that was. I’ve been able to look back on my end-of-summer-getaway now for over a month and it sure didn’t disappoint. I’m up to my knees in grading papers and experiencing that beginning of the school year rush now, but boy did I come back to the year with a clear mind after being able to get away to the Rocky Mountains in early August. My plan was simple: sleep in a tent and run on the trails. For the 90 second version of the whole trip, see the video below. For more, keep reading. I was alone with my thoughts, beef jerky, podcasts, music, and sleeping bag. After a pretty good night in my Ford Focus’ trunk, I met the Rocky Mountains the next morning and took a drive through the neighborhoods I grew up in from the ages of 5-9. Floods of memories of school, climbing trees, making hand-made slingshots, and biking / running through the mountains gave me smiles and tears … oh, and dozens of elk with the sunrise near the swimming pool I learned how to swim in. Yes, the pool that a black bear and cubs found their way into one year. I kept heading West and arrived in the Leadville / Twin Lakes area feeling excited with that hint of “oh that’s right, I’m at elevation” burn in my lungs. And just like that without time to catch my breath from the clear water streams, 14,000ft peaks all around, and boulder-ed trails, I changed my clothes in the parking lot and ran up Hope Pass. I was a kid in a candy store. One of those kids that is having an asthma attack in a candy store and loving it. Well, maybe not an attack but boy oh boy did the first 20 minutes of 15%+ grade wake my lungs up to a steady burn. Then some leveling off, then some climbing, then clearing the tree line, then … the pass. What a view as clouds came in and out and my brain tried to connect my heart to what my eyes were seeing up at 12,600 feet. I love the mountains. 71 minutes up, 41 minutes down … what a ride! I camped … in a tent … free camping … no running water … no toilets … it was camping as camping should be. Fires, eating out of a can, not showering, reading in the pines, and the brightest stars to my memory. My dad joined me after day 2 and we had lasting conversations about God, life, kids, farting, the election, motorcycles, and anything else that’s come up in the last 33 years of my life. It was ……. a blast. A true gift to be together and talk and laugh and run and eat and stargaze and compare pocket knives and drink/chew camping-coffee. The quads were definitely feeling the Hope Pass run over the next three days as I kept it nice and easy and before you knew it, we went up and over Independence Pass together on our way to a little place called … ASPEN. The last day of the trip was what the last ~6 months of training has been building up to. The first “effort” on my running schedule since finishing Western States 100 in 2014. I won’t write much, but boy it was good to be back on the trail. I was stunned at how stunned I was at each pass, especially climbing the first (Buckskin Pass). The wildflowers were icing on the cake for the perfect morning and Colorado blue sky I was given. Pass two brought some rain but no thunder / lightning, so I kept pushing onward hoping my rough patch would give way after crossing the river half way through the trip. Passes three and four were of course grueling but honestly I was able to embrace the climbing and struggle easier after having some experience gauging my climbing abilities throughout the day. Bombing down the other side of these ridiculously picturesque mountainsides was a treat although after 6+ hours of running / hiking, 30min of taking pictures, and 30min of resting, I was ready to be done and finally come out of the woods back to civilization for the day / week / summer / year. Some pictures are below, but as the saying goes they never do it justice. If Four Pass Loop isn’t on your list of must-runs, it’s time to Google it and put it on your radar. Ok, now that it’s on your radar of places to run / backpack, you need to move it up to #1. Do it. Slow or fast. Start planning … go now. 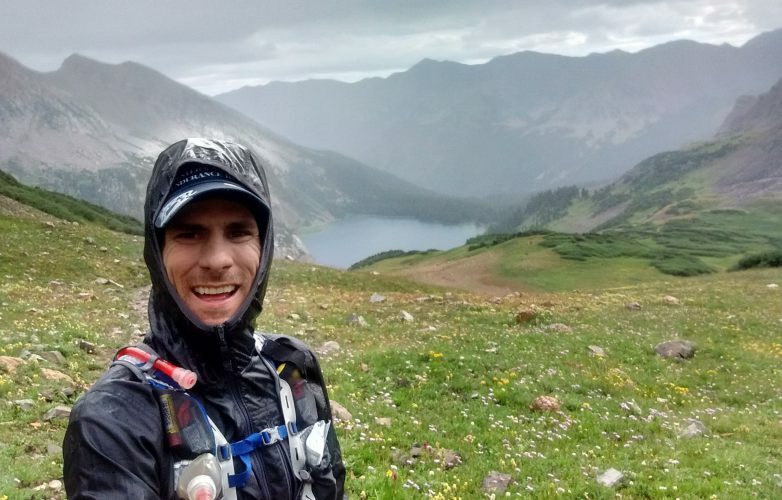 Last day … Four Pass Loop #run around the Maroon Bells with fantastic typical (unpredictable) #Colorado weather … 3 passes in the sun, 1 in the muddy rain. . 4 passes over 12,000ft 3 woodchuck sightings 2+ hours of rain/mud 1 pair of socks 0 Pokemon Go! players Billions of wildflowers . Thanks again @therealsaltstick for keeping me salty and happy!